KAMPALA – Speaker of Parliament Rebecca Kadaga is back in the country after being discharged from Aga Khan Hospital in Nairobi where she has spent nearly a month. 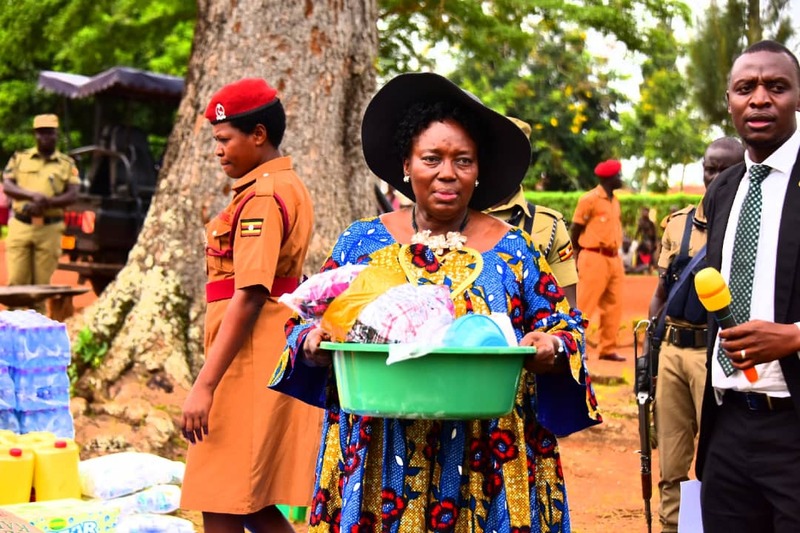 Ms. Kadaga is said to have jetted into the country on Saturday, April 13, and is currently at her home resting before she can resume her official duties. Her Principal Press Secretary Sam Obbo confirmed the news in an interview on Monday, April 15. “All I can say is she is back and at an appropriate time, we shall issue a statement on her condition. “She is still having a bed rest and it would be too much for her to start work soon. For someone who has been admitted for close to four weeks, she will need time to rest and at an appropriate time, she will resume work when she feels she has fully recovered,” he said. Last week, Speaker Kadaga issued a statement, indicating that her health had improved and dismissed rumours of her deteriorating health. “Fellow Ugandans, I send you greetings. As you are all aware, I fell ill on 21st March 2019 after returning from international engagements on behalf of the country. I was in Nakasero Hospital and later relocated to the Aga Khan Hospital in Nairobi. I am glad that due to God’s mercy and untiring efforts of doctors in Uganda and Kenya, I do now have a better bill of health,” she wrote on April 6, 2019. “I would like to take this opportunity to thank fellow citizens and people of goodwill across the globe who have been praying for my quick recovery. I would like to assure the country that I am still at Aga Khan Hospital and hope to be discharged soon. I look forward to better health and to serving Ugandans once again,” she added. Ms. Kadaga was rushed to Nakasero Hospital on March 21, 2019, over jetlag and fatigue. However, her condition worsened and she was transferred to Aga Khan Hospital in Nairobi.